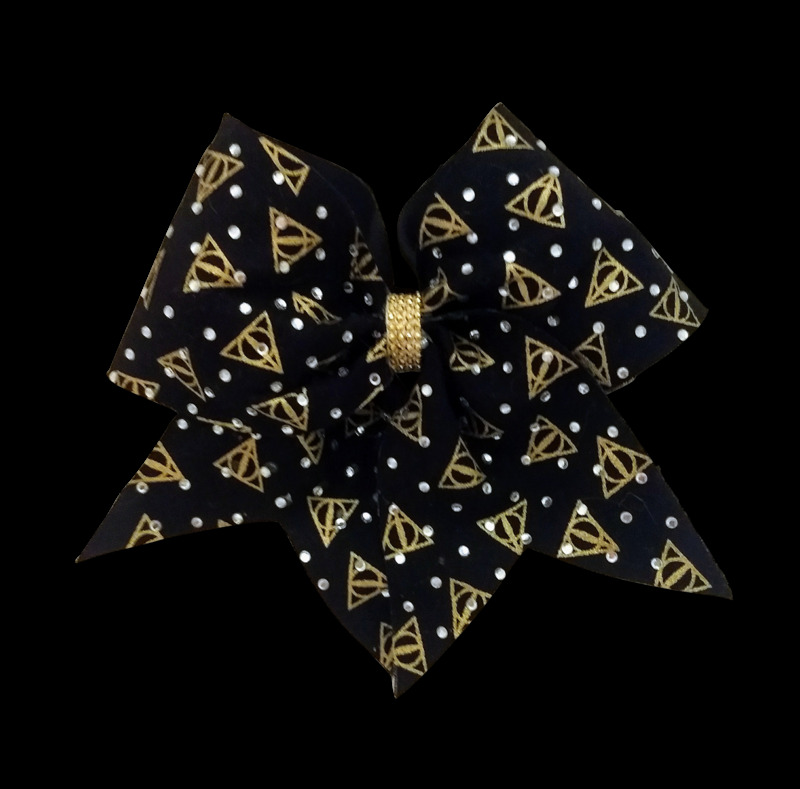 This bow made with the Harry Potter Deathly Hollows icon. Gems are added for extra sparkle. 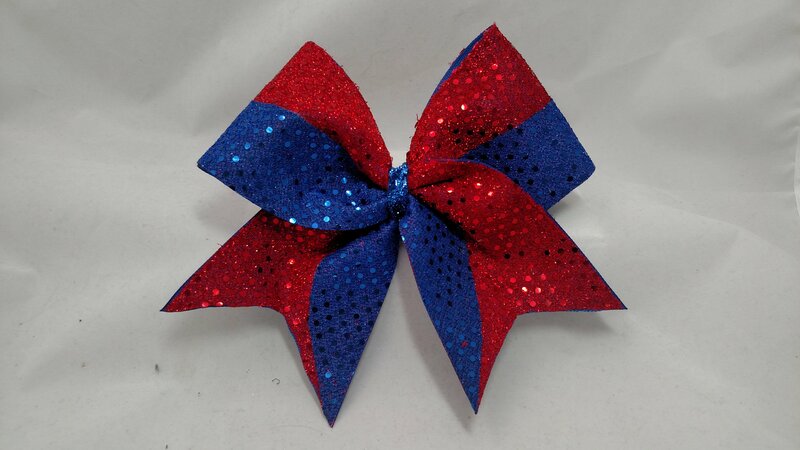 This bow is made with a 3" ribbon base, the width is approximately 6 3/4" across. Can be made without tails.